Looking for ReSound hearing aids? Think of Tustin Hearing Center! Our Audiology practice has been proudly serving patients in Orange County for over 30 years. Founded by Audiologist Dr. Janell Reid in 1989, we have since helped thousands of people hear better with ReSound as well as other hearing aid manufacturers. Our Audiologists only work with the top hearing aid manufacturers and most advanced and effective hearing aids out there. These top manufacturers include ReSound! 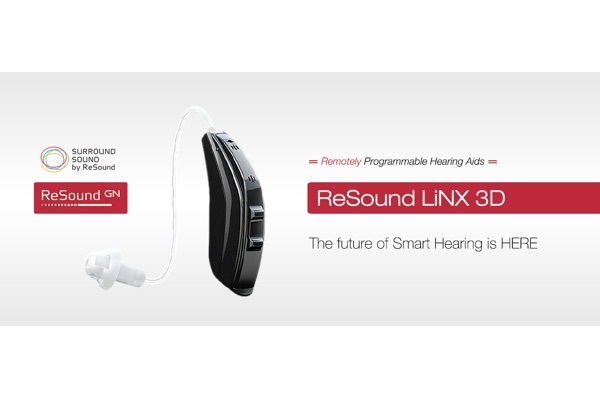 In a series that began with the world’s first Made for iPhone® hearing aid, ReSound LiNX 3D is the newest Smart Hearing aid from ReSound which means they connect with iPhone, iPad or iPod touch devices to make your hearing aids work like Bluetooth stereo headphones. ReSound technologies take full advantage of your brain’s natural ability to hear and focus on what’s important to you. LiNX 3D hearing aids deliver quality and clear speech understanding to provide you with a more vivid awareness of your sound environment. ReSound Smart 3D app that lets you optimize many settings yourself and personalize your hearing experience. Everything you need for a quick adjustment is on the main screen for one-tap access. The app can also provide you with advice about your hearing aids and offer tips for optimizing your hearing in any given situation and even be used to track the location of your hearing aids when you can’t find them. Adjust volume, treble and bass. Create favorite programs. Control your wireless accessories. Enhance your listening experience in challenging sound environments… All without touching your hearing aids. New Binaural Directionality™ II with Spatial Sense™ supports your brain’s natural ability to process sounds, enabling you to hear with less effort. Spatial Sense gives you a natural sense of where sounds are coming from and helps you form a detailed sound picture of your surroundings. And, in a noisy listening situation, Binaural Directionality II makes sure you can still understand every word of the conversation. ReSound has an entire portfolio of wireless accessories that work together to help extend your hearing over a distance and in noisy environments. For example, the TV mutes when you receive a phone call and the sound returns automatically when you hang up. 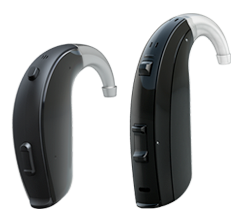 ReSound LiNX 3D rechargeable has all the features of ReSound LiNX 3D along with ZPower®, a rechargeable battery with all day power. LiNX 3D rechargeable hearing aids deliver continuous, uninterrupted power up to 16 hours with no streaming. They will last up to 14 hours with 2 hours of direct streaming. ReSound LiNX2 hearing aids are also Made for iPhone hearing aids that stream stereo sound directly from your iPhone®, personalize your hearing experience and engage effortlessly with family, friends and colleagues in any listening situation. ReSound LiNX2 hearing aids are available in a full family of designs and colors. ReSound ENZO2 is the smallest and most powerful super power hearing aid available and gives you easy access to sound, no matter where it is coming from. With ReSound ENZO2 you hear more of what you want, because every part of it is designed to give you a better hearing experience with a rich, balanced sound in all situations. You will be able to enjoy more amplification without feedback than any hearing aid you’ve used before. LiNX2 and ENZO2 offer tinnitus therapy. The LiNX2 is available in completely-in-canal, invisible-in-canal, receiver-in-canal, in-the-ear, and behind-the-ear models, while ENZO2 is worn in the behind-the-ear style. 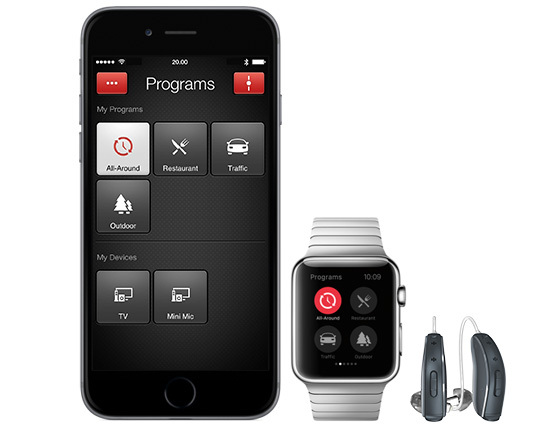 The ReSound Smart App allows wearers to control balance and tone in music and conversation, against background noise. Find out if ReSound is right for you! If you are interested in knowing more about Resound Hearing Aids, call Tustin Hearing Center for your personalized appointment. We work closely with you to have a clear understanding and explanation of your personal hearing situation so we can provide hearing aid recommendations to meet your individual needs, with the complete follow up care that you deserve!